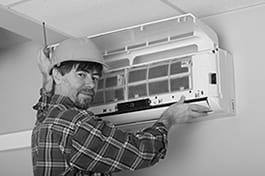 Refrigeration mechanics service, adjust, test and repair industrial and commercial refrigerating systems and a variety of refrigeration equipment. Gather information about the functioning of the refrigeration system. Analyze and interpret the (malfunctioning) history of the system. Check the state and condition of the refrigeration system. Perform preventive and corrective maintenance services, for example check and test leak detection devices, replace parts where necessary. Analyze and interpret defects in refrigeration systems. Control and test whether defects are adequately repaired. Put refrigeration systems into operation (e.g. charge with refrigerant, adjust the thermostat and pressure control). Dismantle (parts of) refrigeration systems. Register relevant information, for example by completing a log book or forms.